Anybody seen this? I can't remember how I heard about it, but I watched it the other night. If you watch the trailer below, you'll see that it's marketed as a super hero movie. Barbara does not have supernatural abilities. She cannot fly or stop bullets. You see her walking all over her coastal town, on the beaches, through the forest, through the hallways of her school. She has left traps or magic potions all over the place, to protect everyone from the destruction giants, or worse, titans, who could show up at any time. When the new girl in town sees her on the beach and asks what she's doing, she says, "I kill giants." But this isn't a superhero movie. It's about grief. Barbara is bullied, her behavior is questioned, she's even required to see the school counselor on a regular basis. She resists all of these human interactions, because she has to be ready to fight the giants whenever they show up. Barbara has to learn to trust others and accept help. People in Barbara's life have to look past the strange behavior to find the struggles that drive her. Only authentic, loving relationships can drive away the giants for good. "Iron sharpens iron, and one person sharpens the wits of another" (Proverbs 27:17). "And though one might prevail against another, two will withstand one. A threefold cord is not quickly broken" (Ecclesiastes 4:12). One of the strengths of the church is it is a place where friendships like this are born. But they do not come automatically. We have to work on them. It takes vulnerability and compassion. When the giants come at Barbara at the end of the movie, she realizes she does not have to face them alone. In the end, the power of loving relationships are strong enough to win. May you seek and find these spiritual friendships, so that you may face the giants of this life without fear and surrounded by people who care for you. And when the giants show up in someone else's life, may they know they can rely on you for strength and comfort. 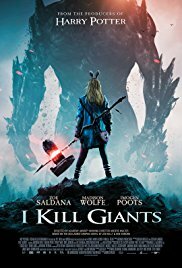 I Kill Giants is a sweet movie with lots of heart. 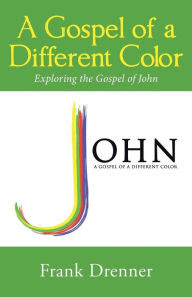 You can stream it on Amazon for $3.